The injury was catastrophic. The bones in Brian Ward’s foot were snapped and crushed. Things were miserable, and then they got worse. Brian couldn’t walk without a cane. He couldn’t work in the same way he had before. Pain was a constant companion, and medication was only a band-aid that came with its own set of drawbacks. He was 33 years old and felt like his life would never find its normalcy again. Finally, Brian found a pain management doctor who helped him get off the medication and regain some of the strength he’d lost. So Brian and his wife Brandi sold their house. Brian trimmed back his law practice. The couple eliminated their debt and cut expenses, and made a decision to give up a life filled with things, for a life filled with experiences. “We held our noses and made that terrifying jump to reorient our lives,” says Brian. 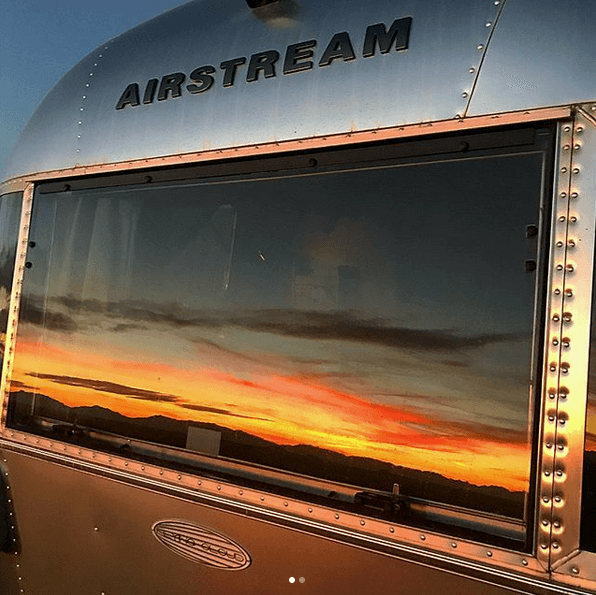 They looked into a variety of RV options, but it was Brandi’s style sense that led them to Airstream. Brian loved the Airstream for its durability, and the fact that they are handmade in America and retain their value. The couple bought a Flying Cloud 26U, and committed to spending as much time on the road as they could. The experience has been transformative. They camped in the Sierra Nevada mountains of California, and did an eight week trip through the American Southwest. 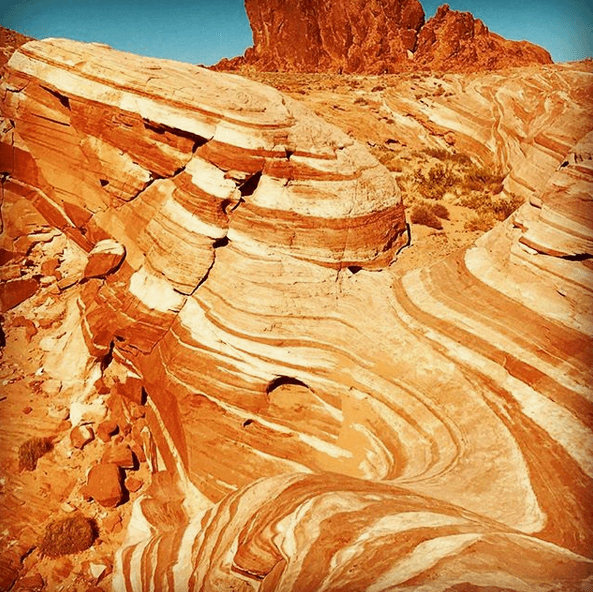 They explored southern Colorado, Santa Fe, Carlsbad Caverns, and the national parks of Utah. 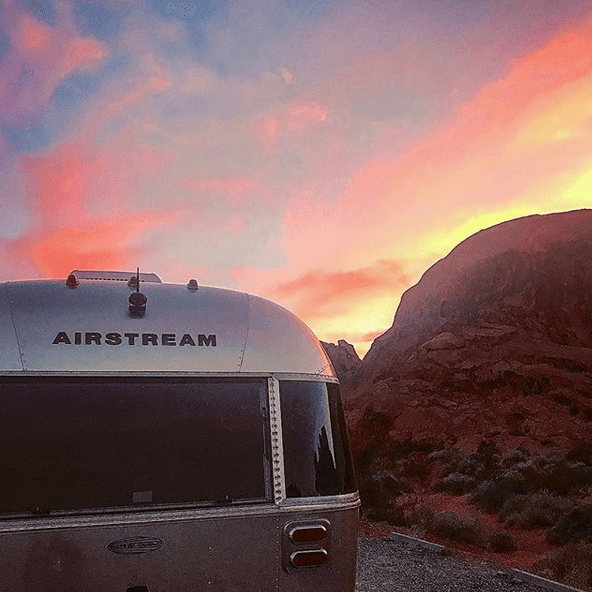 Along the way they’ve seen amazing sunsets, documented their travels on Instagram, and had their fair share of hair-raising adventures. Coming down out of the Sierras and descending into Death Valley on switchbacks was a white-knuckle experience. Once they hit the long straightaway across the desert headed for Las Vegas, Brian put the cruise control on and started to relax. The rumbling crescendo hit a roaring peak and Brian was about to pull over when suddenly a fighter jet buzzed them, swooping low over the top of their truck. The jet was on a practice run, and as if to apologize for the joke the pilot gave them a little wing dip as the plane banked away. While getting buzzed by a fighter jet offers one particular type of fear, it was another fear-inducing situation that helped Brian conquer his injury and solidify his new philosophy of life. 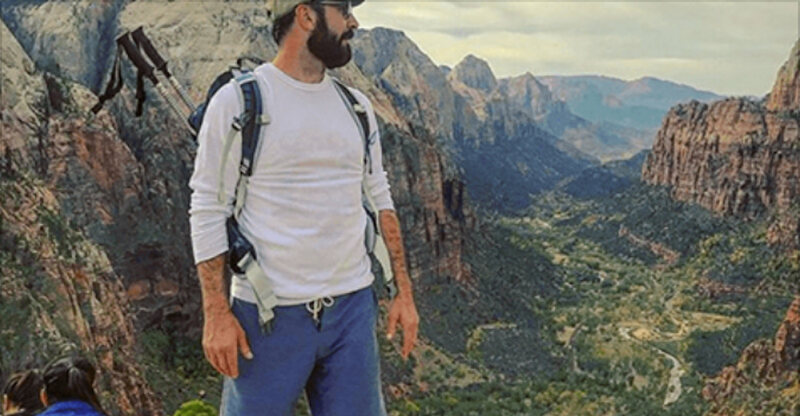 During a visit to Utah’s Zion National Park, Brian hiked the famous Angel’s Landing trail – a strenuous, 5.4-mile hike along narrow trails that drop off 1,500 feet into Zion Canyon. He took his time, following a slow and steady pace, resting before continuing, fighting the urge to turn back. 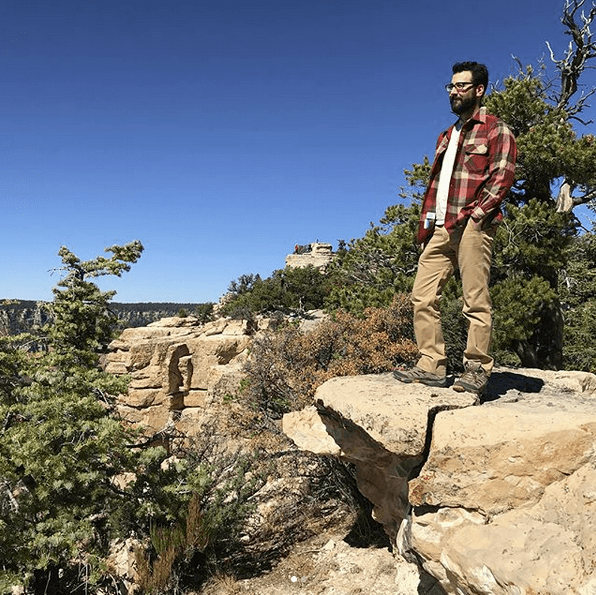 When he made it to the summit and looked out on the dramatic view of Zion Canyon, Brian knew he’d arrived at more than just the end of the trail. Today, Brian shares his story in hopes of inspiring others who’ve suffered debilitating injuries. He points to the accessibility many National Parks offer, and the free lifetime pass the parks offer to those with disabilities. He also shares his story in hopes of inspiring everyone to avoid taking life for granted.